Nancy Rakela, OMD, LAc. has over 30 years of experience in Berkeley, California treating chronic and short term conditions naturally and safely with Traditional Chinese Medicine. She was awarded Best Acupuncturist in the East Bay by the Oakland Tribune and has helped thousands of patients achieve optimal health and become pain free. 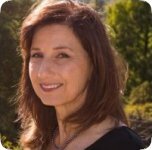 The Berkeley Acupuncture and Herbal Medicine Clinic was established by acupuncturist, Nancy Rakela, OMD, LAc. in Berkeley in 1985. Our clinic was the one of the first alternative health clinics in West Berkeley. Nancy Rakela, OMD, LAc, is a certified Ananda Yoga teacher. She has been teaching yoga and meditation since 1995. She teaches a yoga postures class in Berkeley every Tuesday.